I’m always thrilled to hear about starting out gardeners creating a new garden bed. We need more gardens and more growers. Not even 100 years ago every family had a garden. Gardens are rewarding and fun. 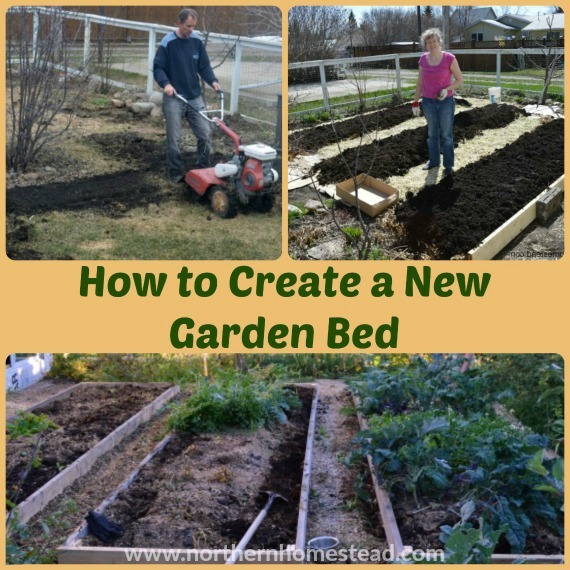 But how to create a new garden bed if you have none? New gardens aren’t comparable to new cars, where if it’s new it runs smoothly. A garden runs (or better, grows) better after a while. New is not better. Usually it takes about 3 years for a garden to be established. To compare your new garden to Aunty’s established garden will not work. So the main thing is to get started. Even if you do everything kind of wrong the first year, do it anyways. Because not only you are working on your new garden, there are thousands of worms and bacteria who work along side with you. They do a better job than we ever could. However, they can only start working on your garden bed if there is one. 1. Pay attention to where the sun is. 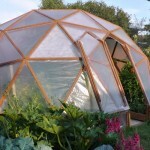 The ideal garden should have morning and midday sun and some shelter from the afternoon sun. In cooler areas, it is good to have sunshine all day long. 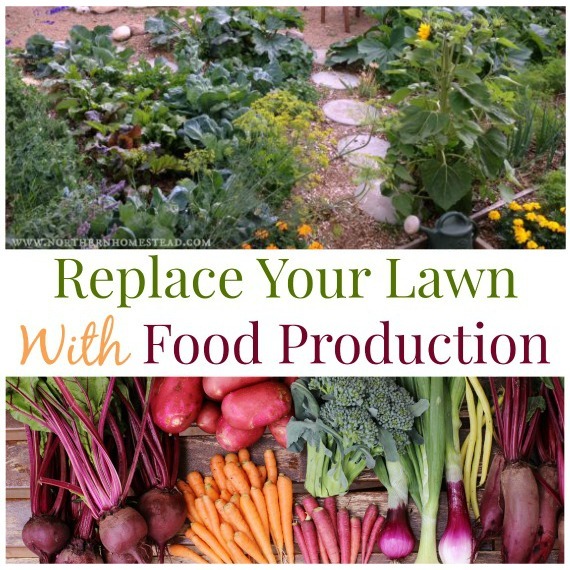 If you only have morning sun, you can still grow lettuce, herbs, radishes, peas, and other cold-weather plants. 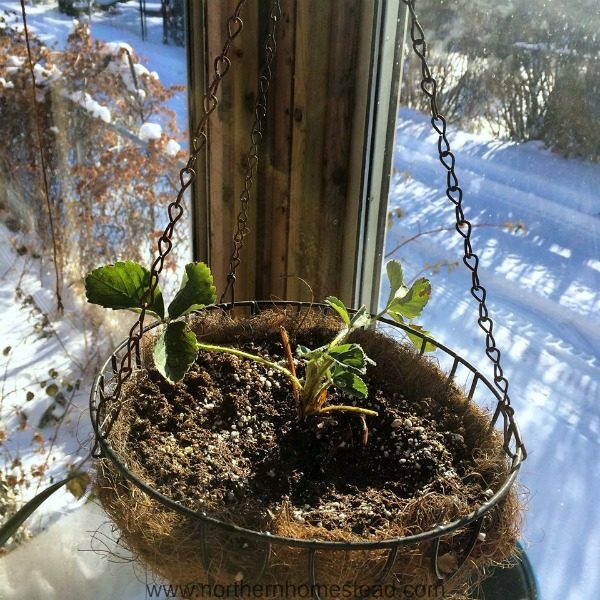 If you have a lot of afternoon and evening sun, then the place is better suited for warm-weather plants, such as tomatoes and zucchini. 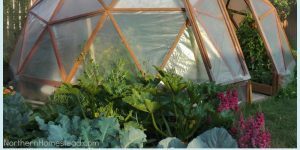 Even if you do not have the optimum solar conditions, you can still grow a garden. 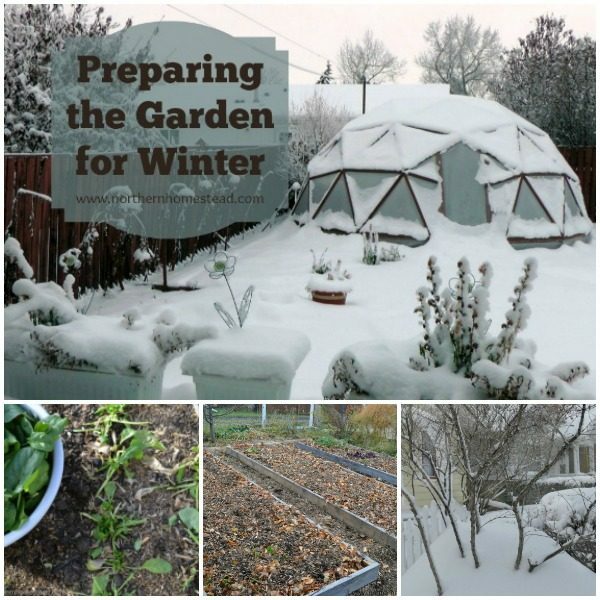 Unfortunately, a garden in total shade in cold climate will not produce a lot. If you are far north, or far south away from the equator, your sun angle will change dramatically over the course of the year. Where there is shade in the winter might be total sunshine in the summer, and the other way around. It is helpful to make a shade survey. 2. Stay away from trees. If there are branches above you, then there are also roots in the ground. If you can, go a little further from a tree. Trees that have shallow roots should be avoided all together. American elm and maple trees, along with birch and poplars, are common trees with a shallow root systems. If you have them in your garden, make mulch out of them. 3. Use micro climates. A garden on a hill will be dry and windy, a garden down in a valley will get frost sooner and be wet. Windbreaks will make the spot warmer, good for northern and winter gardens, but may heat up the spot too much in hot areas. A slight slope to the sun will work for you and a slope away from the sun will work against you. Read more about micro climates here. There are many ways to garden. We would recommend one of the easy and effective no till methods. 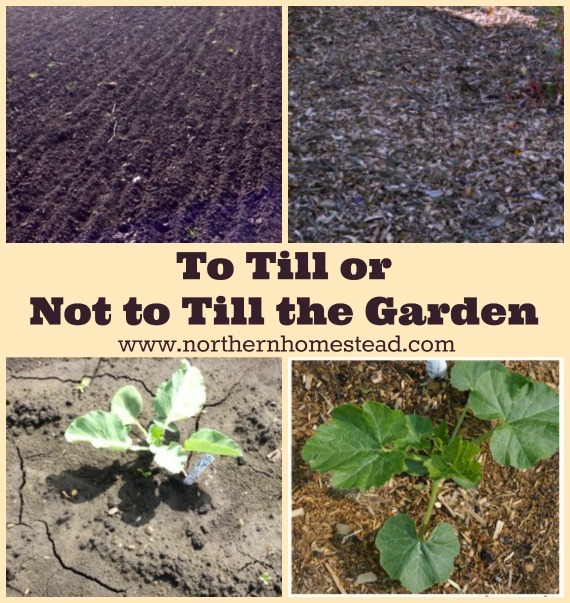 See the 3 Great No Till Gardening Methods for more information. Depending on your needs and resources you can go for a sheet mulch, just mulch, or a square foot Garden. 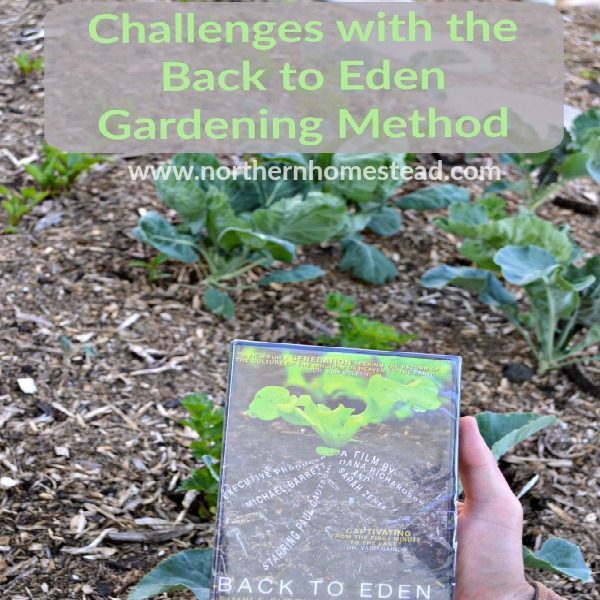 Even though all of these are no till methods, for a brand new garden, to have good results from the start, we find that it is better to dig the invasive weeds out first. However, this is optional. Personally we also tilled our garden first, for one we needed to level the soil, and for two we have a lot of crabgrass, tilling helps to weaken it. To prevent weeds from growing you can also lay cardboard or newspaper down, followed by compost and mulch. Charles Dowding in his book: No Dig Organic Home & Garden shows both methods, with cardboard and without. You will need a thick and compact layer of compost though to be successful on top of a weedy pasture or lawn without any weed barier first. Personally we use cardboard, it has worked well. But we did find that it took a long time for the cardboard to break down, because we are in a dry climate. Seeing Dowding’s success without it made us wonder if that would be a better option for a dry climate. Mulch is the key to success for a no till garden bed. It mostly depends on your climate and preference what mulch you want to use. In our dry climate wood chips work well. By wood chips we mean, shredded twigs with leaves that are preferably already composted some. 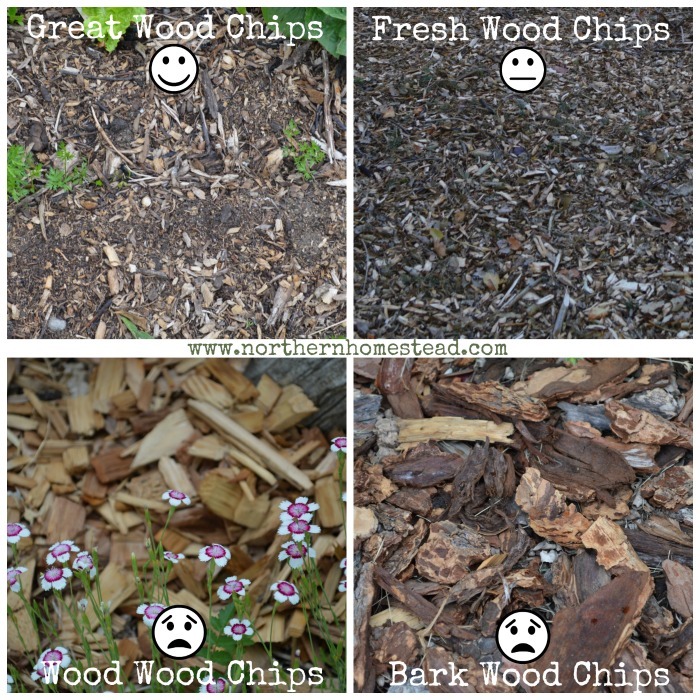 Fresh wood chips can be used in a perennial area, wood wood chips or bark wood chips are not suited for a garden. In areas where slugs are a problem, mulching with compost works better. 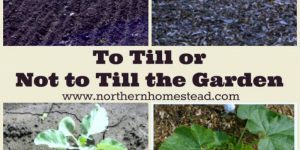 Apply just the same as any other mulch on top of the no till garden. 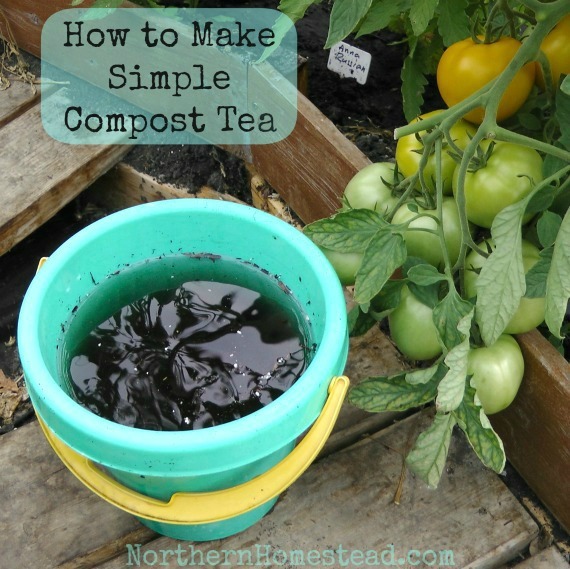 Compost has also the adventure to be easy to work with and is not in the way when planting small seeds. 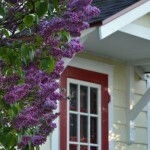 Apply about 2 inches every year, preferably in the fall or early spring before planting the garden bed. Do NOT work the mulch into the soil! 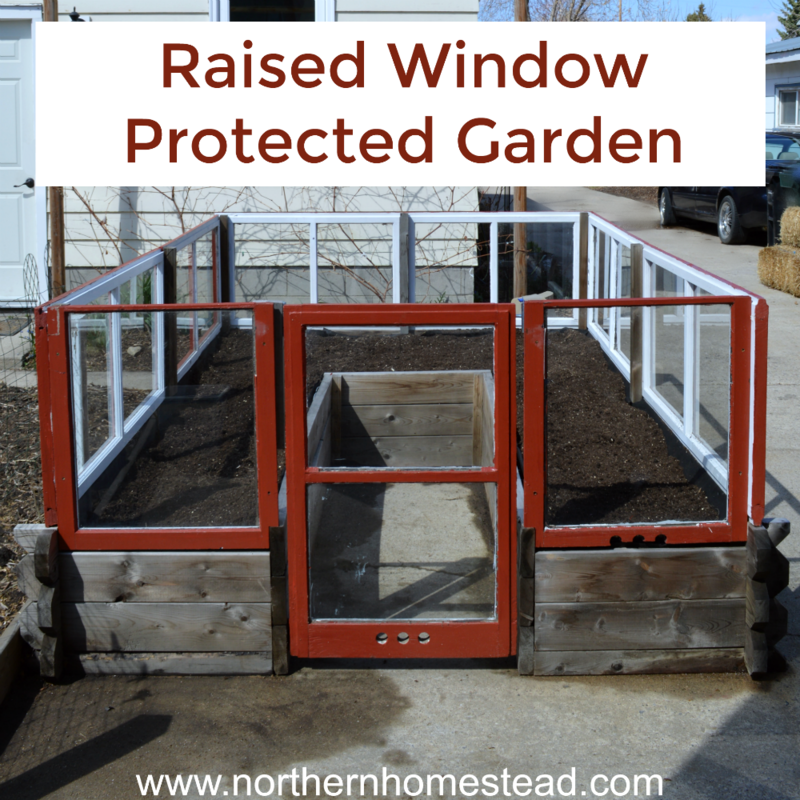 A raised garden bed has the adventure to warm up the soil better in spring, but the dis adventure to dry out the soil during hot summer days. You can create raised beds by just raising the soil. We would recommend actually to build garden boxes for the garden beds. We put boxes around our raised beds afterwards, because just to make hills did not work as anticipated. Now that you have a new garden bed, enjoy what is growing and learn along the way. Remember, no comparisons with Aunty’s beautiful garden. If you feed the soil with mulch, the garden bed will get better every year, but do not stress yourself along the way. 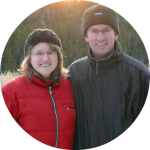 We invite you to subscribe to Northern Homestead and follow us on Facebook or Pinterest for the latest update. 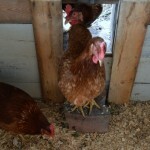 Perfect, we use raised beds, works so much better here. The soil in our region is so rich in clay, raised beds make it far easier to find success through our growing season. Good for you Kate, it really does make gardening easier and more effective. Plus raised beds look good ;). . I am creating a rose garden, so I think there are a lot of things I can take from this to help me in creating a great bed for them. Glad I can be of some help. Roses are so beautiful! This is exactly what I want to do in our backyard! I love raised beds! Thanks for joining us at the #HomeMattersParty – we hope to see you again this Friday! Raised beds are great, especially if you have to improve the existing soil. thanks for adding this to the From The Farm hop! This was my favorite for this week, and you’ll be featured this Friday! Oh thank you Heather! I cant wait for spring to start growing again! 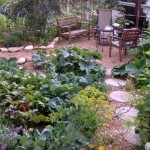 Mel Bartholomew’s “All New Square Foot Gardening” has a great idea to avoid digging and weeds. :Lay down newspapers (wet), then build the garden box (he says 4 x4, I’m experimenting with other sizes), line the box with cardboard and fill it with the mix he recommends. The mix is 1/3 each of (a) sphagnum moss, (b) a mixture of composts (I’m using hen + horse + mushroom composts), and (c) vermiculite. This mix preserves every bit of moisture. Mine is ready for spring and I’ll be using that same mix in the milk jug plantings you recommended as well as the bottle tower I’ll be using. Can’t wait to see the outcome. 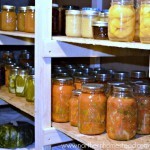 We love Mel Bartholomew’s books, and your your soil is of no use, his mix is a great way to start. If you do have some aggressive weeds, make sure to get rid of them before lining the box with cardboard or newspapers. Happy gardening in your new garden box! Great tips! 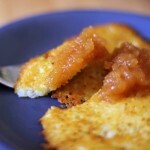 Thanks for sharing this with the Homestead Blog Hop! I absolutely loved this post….in fact, I chose it as my featured post last week, but it looks like I failed to inform you of that…I am so sorry! 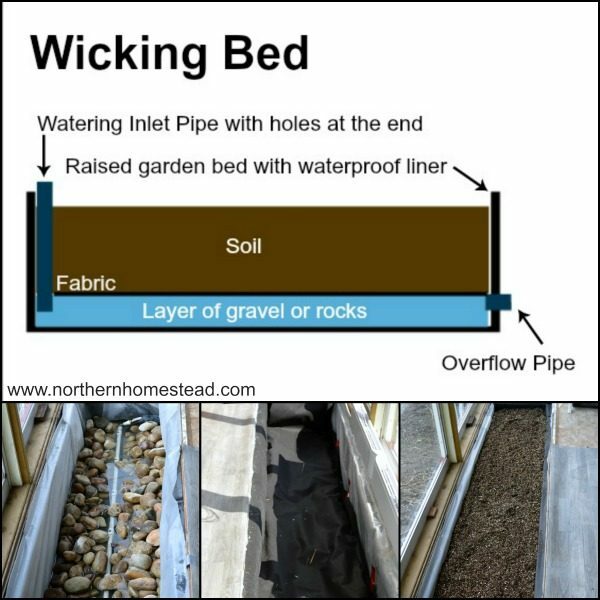 I really like your ideas on making a new garden bed and I know just where I’m going to try this at! 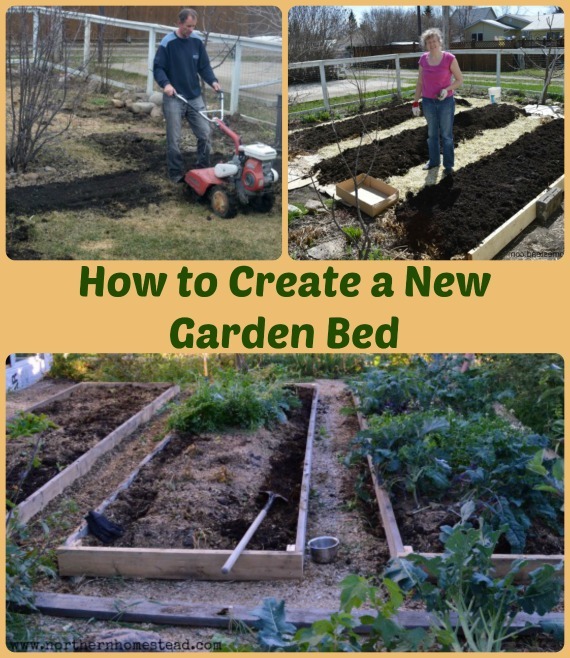 Thank you for featuring my How to create a new garden bed post. Hope your new garden beds work great for you. Happy gardening! Hi, I live in Queensland Australia, I want to start a new garden which at present is lawn and lovely soil underneath. Paul in back to Eden puts newspaper as the first layer. I have a problem with that as all the chemicals in the ink will get into the soil. Can I skip that part. Plain paper is so hard to get, especially for a large garden. We have half an acre to plant. I will take me too long to write to Paul and get an answer as he doesn’t have a computer. Hi Anne, congrats on the new garden! I love to hear when people start new gardens. For your question, you need somehow to get rid (kill) the grass. Just adding the wood chips on top of the grass will fertilize the grass and make it grow better. Newspaper is just one way. We used cardboard, but really aggressive weeds like quackgrass grow through the cardboard. So we tilled the grass first, which did help with the weeds. 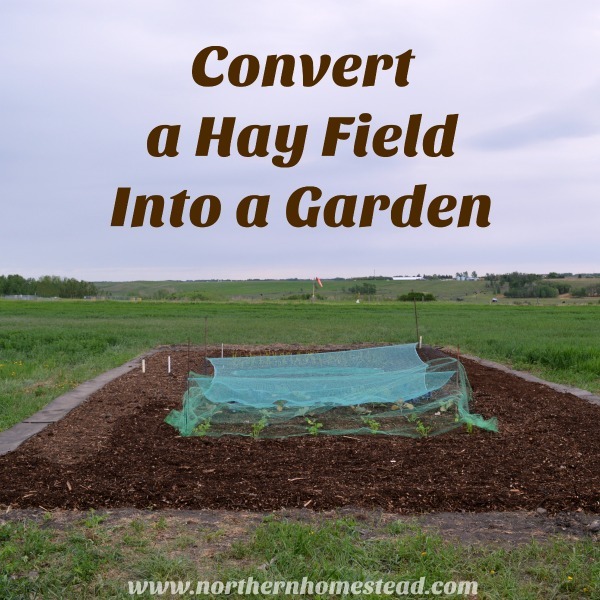 You can also use tarp and leave it on for a season, until the grass dies off. Or you can start a sheet mulch garden. 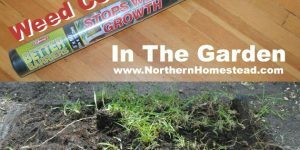 No matter what you do, you want to kill the grass prior to adding the wood chips or in the process. Hope this helps. Hi Anne, we didn’t use news paper. Last fall we covered our garden with 6 inches of leaves and 6 inches of wood mulch on top of that. It will take about 3 years of chop/cutting the weeds before they go to seed. Better than pulling as not to disturb the soil. They will however diminish over time. Remember Paul did not use just mulch but organic compost from his chickens to achieve what he has created over many years. God Bless 🙂 Kathryn in Quebec Zone 3b. My husband and I moved to the family farm and started our veg. garden in virtual sand….it did not do too well. So, I gathered up all the old tractor tires and started filling them with compost. I grew huge broccoli, squash, tomatoes and potatoes in big tractor tire. My son-in-law just bought a place where we can garden so I told him to start collecting truck tires. A great idea! Also in a cold climate, tires help to warm up the soil. Thank you for sharing.